Who is Ray Chong Nee? 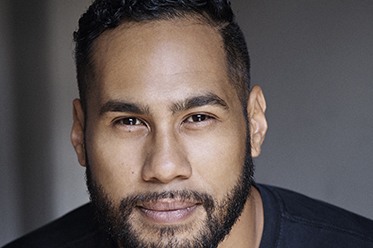 Ray is a Samoan born Australian actor, trained in Queensland, and currently residing in Melbourne after a few years spent in Sydney honing his craft. He has collaborated with artists and companies across the country, and has most recently been seen onstage for Bell Shakespeare in the roles of Oberon, Flute and Theseus for their production of The Dream. I would probably be back in Samoa farming, as my parents and I did prior to migrating to New Zealand and then Australia. Either that or I would be working for the UN, which could still happen. Characters and people such as those in Jumpers For Goalposts. Beardy, the character I will play, has reached a crux in his life where he can either wallow in his own sadness, or use the past events in his life to take action and change his future. It’s quite a brave step for any person to take, and undertaken by all the characters in the show. We all possess the power to do so, but seeing it personified on stage is truly inspirational. I would ask Tilda Swinton about this one. I try turning off lights where I can, riding my bike where I can, and recycling where I can. Every little bit helps. My bed. No delays, no fees, no transfers, and no check out times. With a press of a button, or a turn of a page, you are transported to somewhere else, and you don’t even have to change clothes. Abbotsford Convent. It’s picturesque and Lentil As Anything is a great institution. A few things at the moment; a TV script which I’ll be shooting in January, Homers Iliad, and the play Jumpers For Goalposts. Although it’s in production at the moment, I believe in continuing to read the script during the season. A playwright has worked hours on end to produce the published play script you are given, and it is your job as an actor to make sure you get every letter and piece of grammar correct. A movie, clean sheets and ice-cream after a long day on your feet. Many things I hope. But right now, all I want is a successful season for Jumpers For Goalposts. It has such a big heart, which is why I wanted to audition for it, and no matter if you are a regular theatre goer or not, the characters are so lovable that you will leave the theatre in good spirits. Ray Chong Nee graduated from the University of Southern Queensland in 2004 and has been a proud member of Equity since this time. He was an ensemble member in the Actors At Work program The Players in 2013 for Bell Shakespeare. 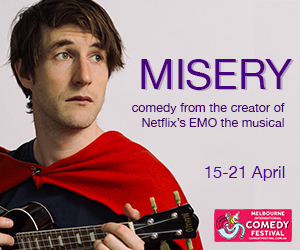 His other theatre credits include The Dream (Bell Shakespeare); The Motion of Light in Water (HotHouse Theatre/Theatre Works/Elbow Room); Bare Witness (Performing Lines National Road Work Tour/Q.T.C/ Merrigong Theatre Company); After All This (Elbow Room/Melbourne Fringe Festival – winner of the Best Performance for Melbourne Fringe, and two Green Room Awards for Best Ensemble and Direction in 2011); Angels in America (Theatre Ink/Parramatta Riverside/Mardi Gras), and Andy X (N.I.D.A with Jim Sharman). Ray’s film credits include The Bench and Savage Garden for In The Raw/Dungog Film Festival, and The Pool with Roger Hodgman. His television credits include Party Tricks , Offspring, Rescue Special Ops, Magical Tales and Dance Academy, and a recent commercial for Fox Sports. 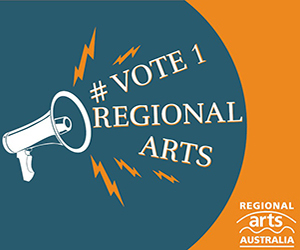 His voice credits include Bulap Tribal Documentary (N.H.N.Z/ 456 Records); Azaziels Feast (Terry Pelarek/Carriageworks); and a voice over as Will.I.Am for Rosemount Wineries. Ray is currently appearing in Jumpers For Goalposts at Red Stitch Actors Theatre. For more information, visit: www.redstitch.net for details.